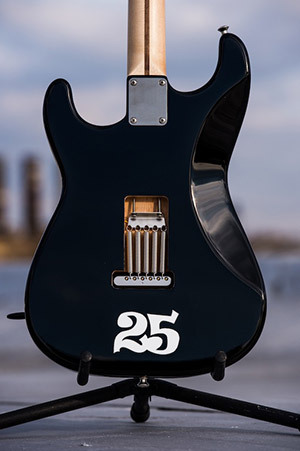 Twenty-Five, STC-Shaped Guitar from Perri Ink. 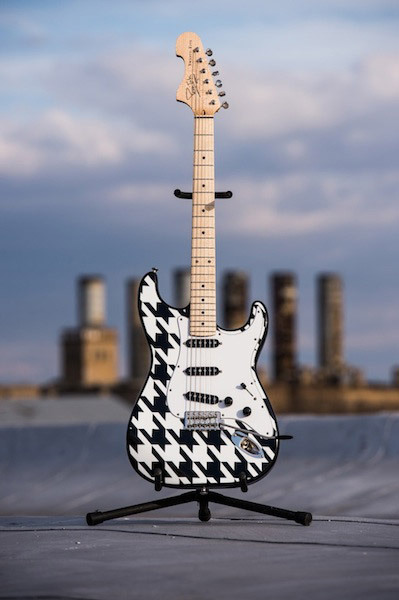 Perri Ink celebrates his 25th custom guitar with the Twenty-Five, an electric guitar with a special "Houndstooth" finish by French Kiss Kustoms. Black and white Houndstooth finish on top, by Bobby Bordeaux (French Kiss Kustoms), black back with white "25"
The Perri Ink Twenty-Five retails for $4000. 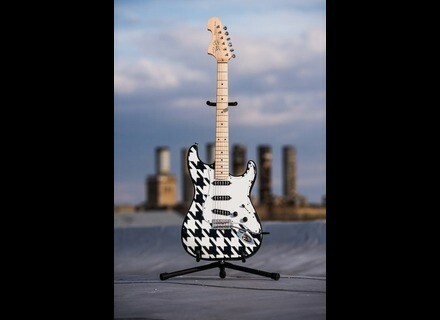 Visit perriinkguitars.com/twenty-five/ for further details. Win a Reverend Bayonet guitar with Railhammer Railhammer and Reverend have teamed up for a giveaway. You can enter now to win a Reverend Bayonet electric guitar. Free Bass Masterclass Bass TonePrints TC Electronic invited several famous bass players in order to create a free TonePrint pack for bass. Rivera updates the Venus 3 combo Rivera announces the availability of a new version of their Venus 3 15W valve guitar combo.